CHOUX is a French bakery specialized in french cream puffs located in the heart of San Francisco. The pastries are created fresh daily in our Lower Haight store by owner Laura Athuil and her team of experienced pastry chefs. What is a choux ? A Choux, pronounced ''shoo'' is a french of cream puff, a sweet French dessert, carefully crafted with flaky pastry dough, filled with a unique custard and adorned with delicate icing. Laura is the creator, founder, and Cream Puff Queen at CHOUX Bakery. It all started in Nice, France. As a young girl, Laura would often spend her free time in her parent’s kitchen. Her first creation was a delicious banana bread. As her passion grew quickly, she began to fall in love with the elegant wedding cakes that she found in her mother’s pastry books. Laura was drawn by the story that made these wedding cakes come to life. She has come to realize that pastries make people smile, and she now wants to spread those contagious smiles through her creations. With a degree in Architecture and Design from Ecole Camondo, Paris, Laura created Atelierna, an architecture and design company. She was always interested in making the client’s unique style come to life, but more importantly, making them happy. Laura's sweet tooth never abandoned her, and she started taking baking classes at Ecole Lenotre and Atelier Alain Ducasse, the renowned culinary schools in Paris. There, she found her passion for a particular pastry, le choux à la crème (French cream puffs). On a whim (particularly for her search of inspiration), Laura embarked on a culinary tour around the United States, trying every bakery that she could find. San Francisco was one of the cities that had a lasting impression on her. On her first day visiting San Francisco, she found herself sitting in Ghirardelli Square watching the boats go by in the Bay with an ice cream cone in hand. It was there and then when she had a revelation: she had found her new home. Being under the magical spell of San Francisco, she packed up and moved one month later. 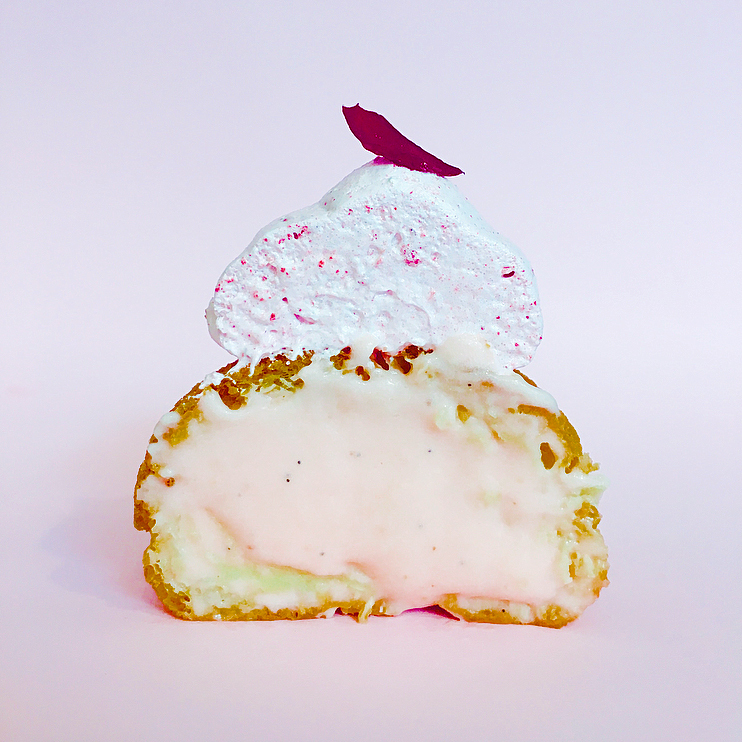 With the love and support of the San Francisco community, Laura welcomes CHOUX Bakery to the Lower Haight neighborhood, where each CHOUX French cream puff is unique and special, designed to reflect the different tastes of each customer. CHOUX French cream puffs are named after friends and supporters who have inspired Laura through her journey as a baker. Stop by and try our unique twelve flavors for yourself!